The image comes from an ‘underground’ newspaper published in London in the sixties. I think it was the ‘International Times’, although I could be wrong. Siouxsie !!! Bellissimo !! What a fantastic coat!! Love it !! Now THAT’S a blast from the past! I also thought it was Marc Bolan!! From Siouxsie and the Banshees? Neh! Don’t think so. It’s absolutely Siouxsie… I’ve had a t-shirt with that same pattern since the 1980 Israel Tour of the US. Yes! The _At the BBC_ cover. I hate trench coats but I’d wear that one. In a heartbeat. Even goths need to stay dry and warm. Isn’t that the Marc Bolan (T-Rex) silhouette? It is Siouxsie, no question. 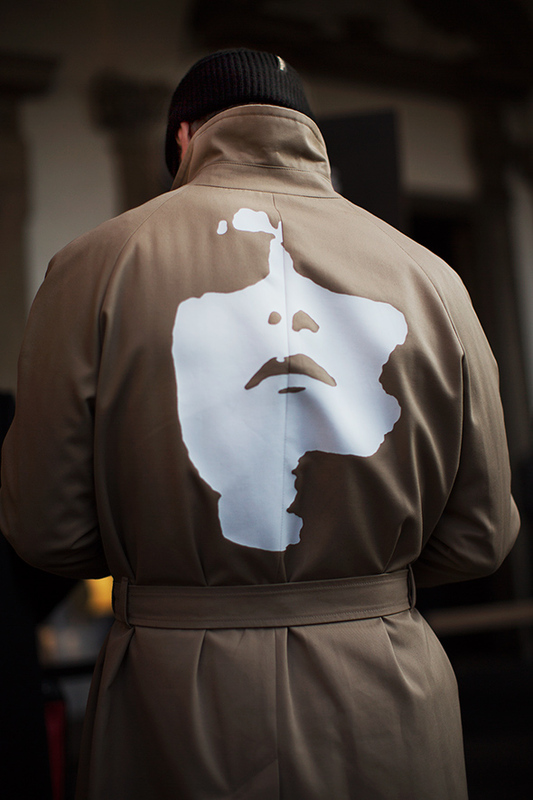 Have trench coats ever gone out of fashion? Yes it is Siouxsie Sioux. Knew it soon as I saw it.